Since 1986, the Berlinale Camera has been awarded to individuals and institutions that have a connection with the festival and have made an extraordinary contribution to the world of filmmaking. 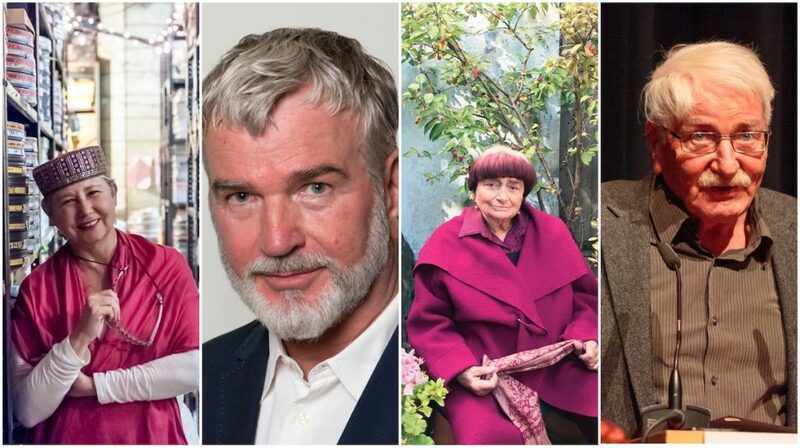 At the 69th Berlin International Film Festival, US producer and IFP founder Sandra Schulberg, Wieland Speck, who headed the Berlinale’s Panorama section for many years, French filmmaker Agnès Varda, and German director and screenwriter Herrmann Zschoche will be honored with the Berlinale Camera. Sandra Schulberg, a long-time activist on behalf of filmmakers working outside the Hollywood studios, is being recognized by the Berlinale for her 40 years of service to the field. Schulberg founded the Independent Filmmaker Project (IFP) in 1979, and one year later co-founded the independent distribution company First Run Features. In 2008 she launched IndieCollect, a national campaign to save indie films from extinction. She also serves on the advisory committee of the Women’s Film Preservation Fund, established by New York Women in Film & Television. Alongside her advocacy and film restoration, Schulberg has been a working producer, with three of her movies premiering at the Berlinale: Beth B’s Exposed (Panorama2013), Philip Kaufman’s Oscar-nominated Quills (Competition 2000) and John Hanson’s Wildrose (Panorama 1984). In 2004, the Berlinale also premiered her special series Selling Democracy: Films of the Marshall Plan, curated with Dr. Rainer Rother. In 2010, the Berlinale unveiled her restoration of Nuremberg: Its Lesson For Today(1948/2009), which documents the first Nuremberg Trial and was directed by her father, Stuart Schulberg. It was screened in the Berlinale Special program. Wieland Speck’s curatorial work in no small measure helped establish the Panorama section as a platform for independent and challenging cinema. Since the mid-1970s, Speck has been involved in film and video in a variety of capacities, and has worked as both author and publisher. In 1982 he joined the Panorama section of the Berlinale – back then still known as Info-Schau – as assistant to section head Manfred Salzgeber. It was in this capacity that he established the world’s first queer film prize, the TEDDY AWARD, in 1987. In 1992 Wieland Speck took over as section head, remaining in this position until 2017. During his years at the Panorama, he not only programmed but defined the section – formally, thematically and geographically. In 1999, Speck gave audiences a voice with the introduction of the Panorama Audience Award, awarded annually to one documentary and one feature film. The Panorama 40 special program, jointly curated with his long-standing colleague Andreas Struck to mark the section’s 40th anniversary, is Wieland Speck’s Berlinale swan song. Agnès Varda is one of the most important contemporary francophone filmmakers. She started out as a theatre photographer in Paris before shooting her first feature film, La Pointe Courte, in 1954, with no prior filmmaking experience. Through Alain Resnais, who edited the film, Varda first came into contact with the circle surrounding the Cahiers du Cinéma, who would later go on to form the core of the French Nouvelle Vague. Her fellow artists would soon include Chris Marker and Jacques Demy. In 1961 her film Cléo de 5 à 7 (Cléo from 5 to 7) premiered at Cannes and put her firmly on the radar of fans of new French cinema. 1967 saw Varda working alongside Claude Lelouch, Jean-Luc Godard and Chris Marker on the documentary Loin du Vietnam (Far from Vietnam). To date, Varda has made numerous feature and documentary films, for which she has received multiple awards and honors, including at the major festivals in Venice, Cannes and Berlin. Her latest film, the documentary Visages, villages (Faces Places), made in collaboration with French artist JR, was nominated for the 2018 Oscar for Best Documentary Feature. The Berlinale Camera presentation ceremony will be followed by the world premiere of Varda’s documentary Varda par Agnès (Varda by Agnès), screened out of competition in the section Competition. Herrmann Zschoche had a fundamental impact on cinema in the GDR as a DEFA film director – both with his children’s and youth films, and through his critical filmic portrayals of contemporary society. He started his professional career as an assistant and camera operator with the GDR’s state broadcaster. From 1954 to 1959 he studied film directing at the Hochschule für Film und Fernsehen “Konrad Wolf” (today known as Film University Babelsberg KONRAD WOLF), before starting work as an assistant director at the DEFA film studios. He directed his first solo feature, Das Märchenschloß (The Fairy-Tale Castle), in 1961. The social critique in his 1965 drama Karla, for which Ulrich Plenzdorf wrote the screenplay, led to the film’s being banned and not shown to the public until 1990. In the 1970s, Herrmann Zschoche started focussing predominantly on youth films, such as the widely acclaimed Sieben Sommersprossen (Seven Freckles, 1978) and Insel der Schwäne (Swan Island,1983). In 2002 he published his autobiography, Sieben Sommersprossen und andere Erinnerungen“. After German reunification, Zschoche worked on a number of television productions, including Tatort, Kommissar Rex (Inspector Rex) and Drei Damen vom Grill. The Berlinale Camera ceremony will be followed by a Berlinale Special screening of Herrmann Zschoche 1991 film adaptation of the novel “The Girl In The Lift” (Das Mädchen aus dem Fahrstuhl).